How much does ReallySchool cost? ReallySchool has an annual fee which varies dependent on the number of pupils you have. The lowest priced subscription is £49 a year for up to 60 pupils. What devices can I use to access ReallySchool? The app can be used on any android/apple tablet or mobile device. The browser can be accessed through any windows and Mac device. Up-to-date versions of either Chrome, Edge, Safari, Opera, or Firefox are required. How do I edit an observation? When looking at an observation in draft mode click on the three dots in the top right-hand corner this will give you some options including ‘edit.’ Also, from your PC you can edit or add extra notes to an observation taken earlier on a tablet. 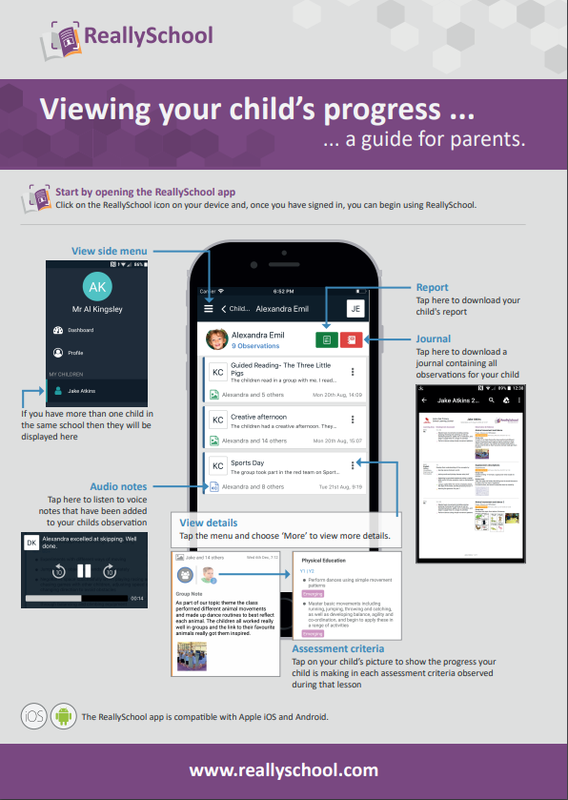 Parents can see their child’s observations including photos, videos, audio files and student badges through our dedicated iOS or android app. Parents can also download their child’s individual journal or report. How do you add new students? To add students, you need to be an administrator. An administrator can manually add students by clicking on students then using the “add student” button. You can also add student information by uploading a CSV file from your school’s MIS system. Can you delete an observation after it has been posted? No, because this would change the assessments that have been saved in to the system which would alter class data. However, you can edit the observation after it has been posted. In draft mode you have the option to delete observations. 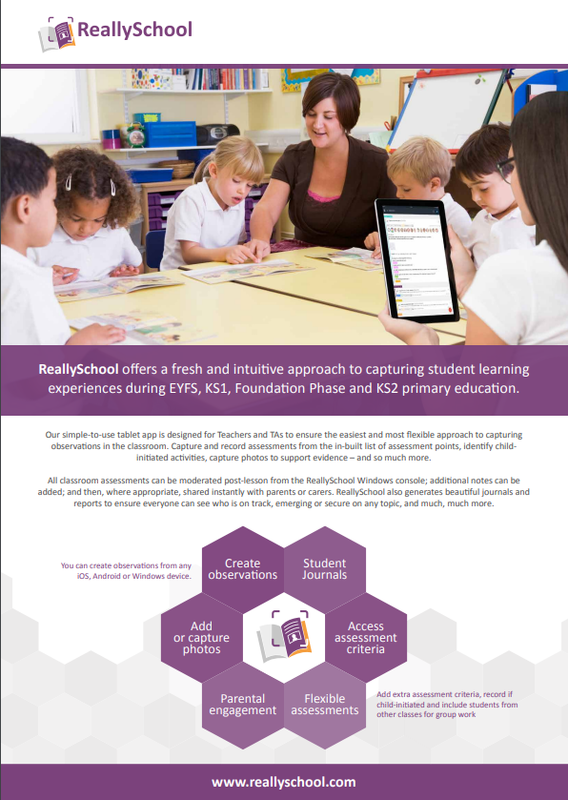 You can register your school online through “try now” or use our get in touch form to find out more information about buying ReallySchool. We offer a free month’s trial so that you have time to change your mind if ReallySchool isn’t right for you. What is the difference between draft, saved and posted as a status? A draft post is an uncompleted post that you can edit, delete or remove at any time. If a post is saved this means the observation cannot be edited and it won’t be shared with parents until it is posted. If the observation is posted that means it is viewable by staff and parents. Can I have a teacher or senior leader see observations and data for more than one class? 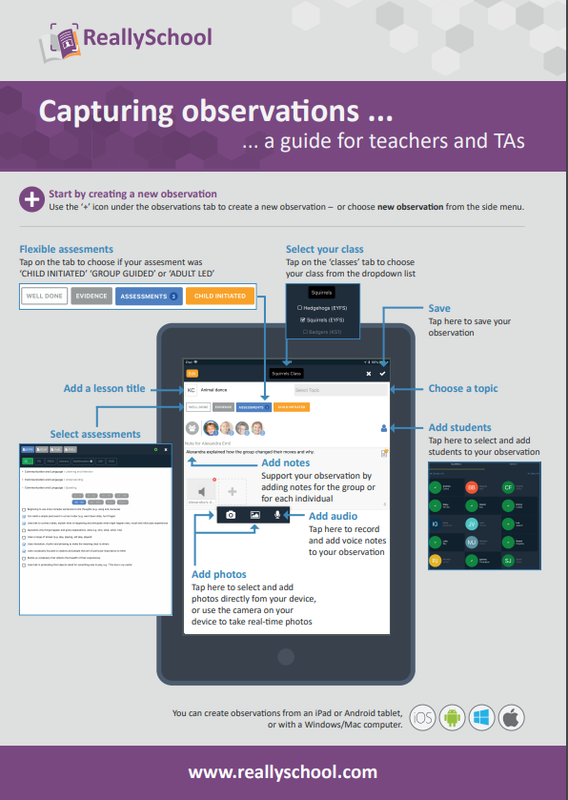 Yes, an admin can see all classes and students and can add staff to any number of classes allowing them to see and add observations to multiple classes as desired.